Health authorities and Governments around the world have promoted the need to include wholegrain foods in your diet as wholegrains have a proven range of health benefits, and processed foods have been linked with the obesity epidemic. Most people simply don't understand how wholegrains are beneficial, how to use them, and how much to eat. However raw wholegrains and foods are hard to find as the labelling is often very confusing. ► Which grains are the healthiest? 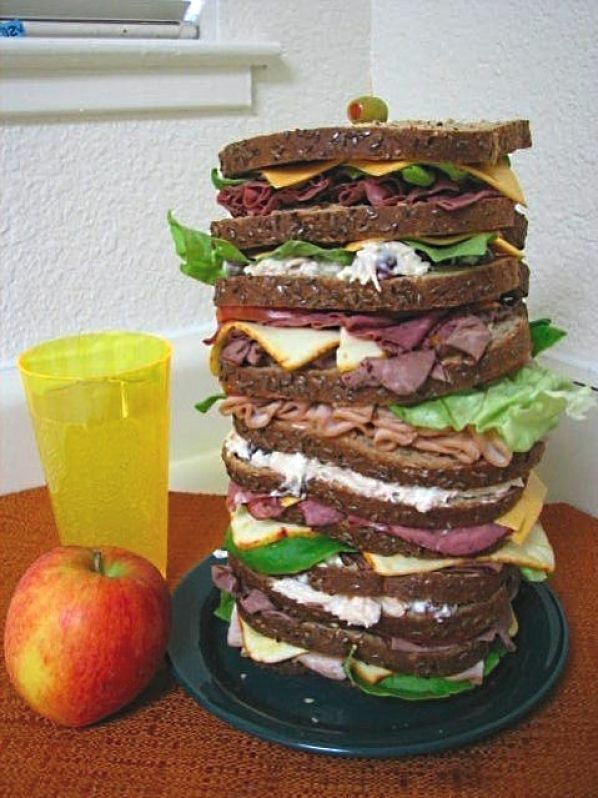 ► How much wholegrain food should you eat to get the benefits? ► What is a standard serving for a wholegrain food? 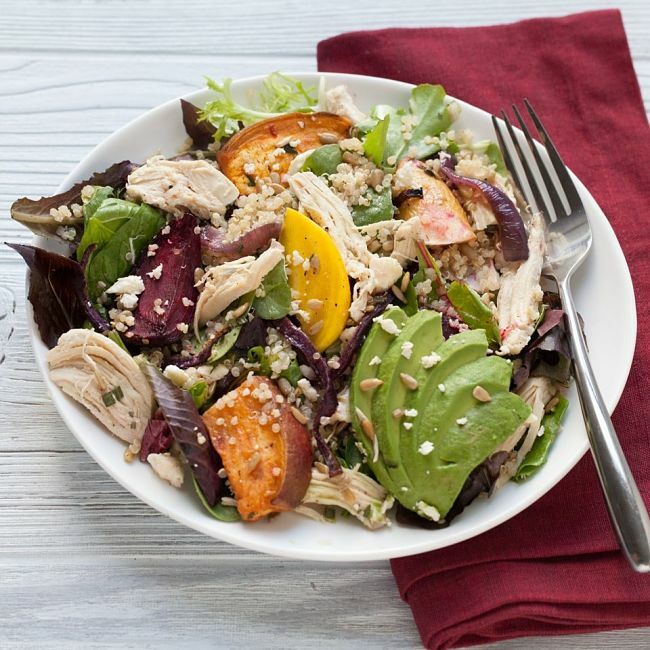 ► What types of wholegrains are available and where can you get them? These questions and many others are answered by this review article. 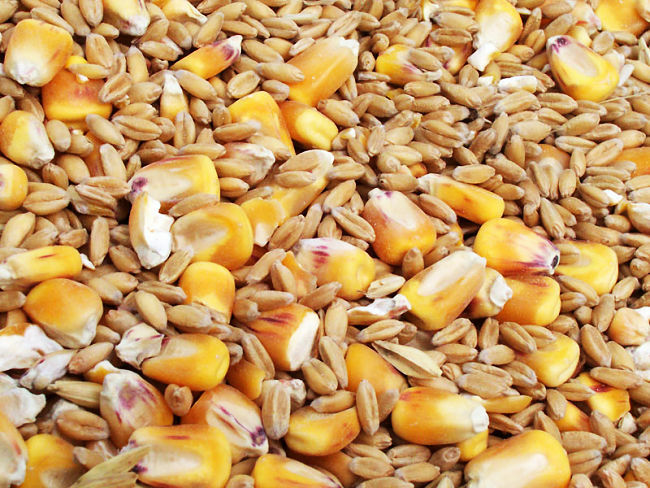 Why are Whole Grains Healthy and What Happens during Processing? The germ – the active part of the grain located inside the endosperm, which is the part that grows when the grain is watered. The endosperm is the energy reserve used by the plant to grow and become established. During processing one or more of these parts removed (mostly the bran and germ). 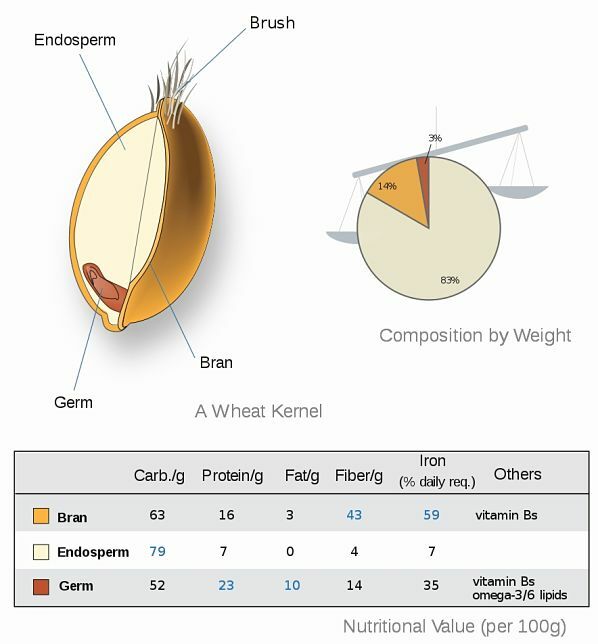 As shown in the image above the bran and germ are the most nutritious parts.Processing wheat grains into white flour essentially produces a flour that is mostly starch and carbohydrate. 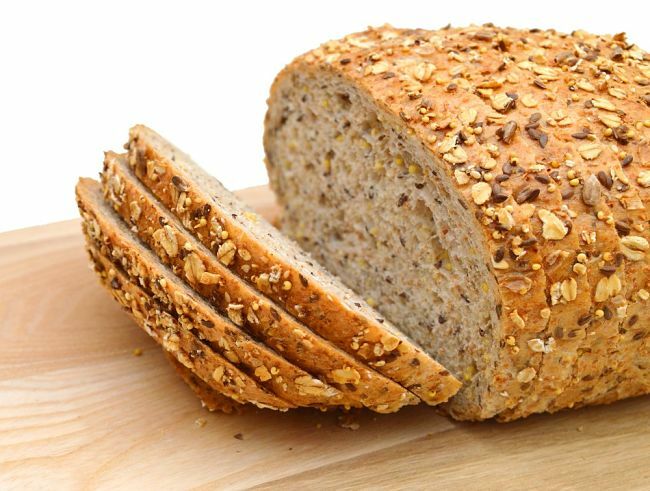 Most people don't understand the health benefits wholegrains have to offer. How much should you eat? 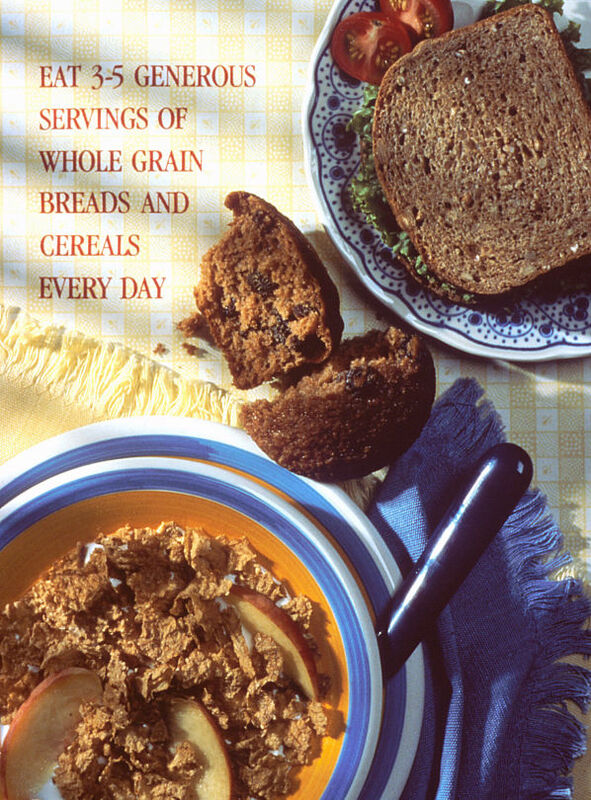 What Types of Whole Grains are Available and What Foods are Wholegrain? The table below list the common grains and foods. Some of these grains may be hard to find. Check out your local health food store. 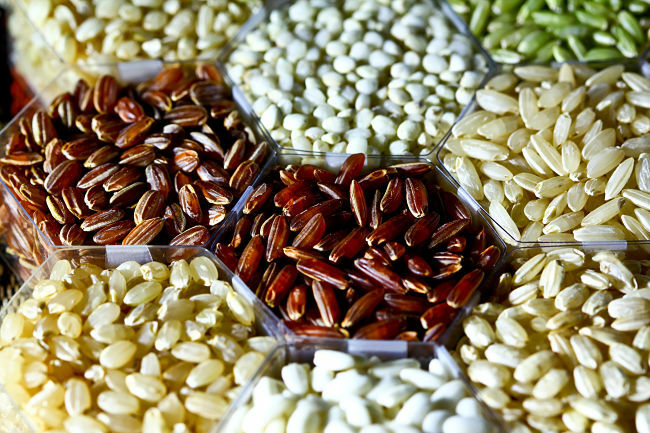 The ranked listing of the healthiest grains has been produced using an overall health scoring scale. A table comparing the nutrients in common grains for a 100g serve is provided at the end of the article. 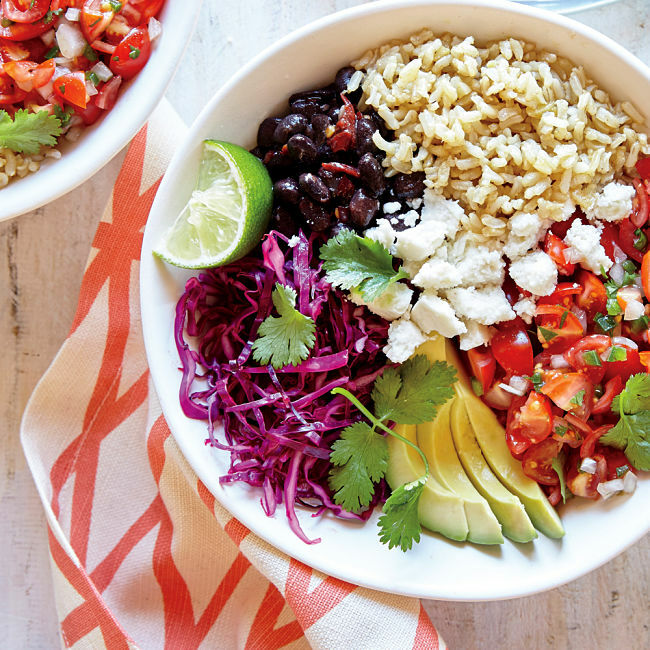 The levels of major nutrients are shown for 1/4 cup of dry, raw whole grains. The rating is subjective and it depends on what you are after - protein, fiber, low fat, vitamins, etc. What Constitutes One Serving of Wholegrain? The table below summarizes the serving size and typical meals that provide 6 standard serves of wholegrains. The table below provides a guide to the recommended amounts.